Digital Learning Annual Resource Guide 2017, is taking forward its legacy and previous years’ success. A high demand of resource guide in the market has compelled us to bring out a new and improved version for better insights. The guide hopes to enable various stakeholders including engineering aspirants to make an informed decision, writes Akash Tomer of Elets News Network (ENN). Over the years, education sector has gone through several transitions. Along with the world, the learning industry has witnessed a string of technological innovations in the sector. Adoption of technology has changed the face of education industry from “chalk and talk” methods to digital learning that has streamlined the teaching-learning experiences. Technological innovations in the sector have also paved the way for rapid expansion in the number of education e-solution providers in the country. From preschool admissions to campus management solutions for higher educational institutions and from K12 education technology providers to cutting edge education products – there seems to be no dearth of solution providers in the market. 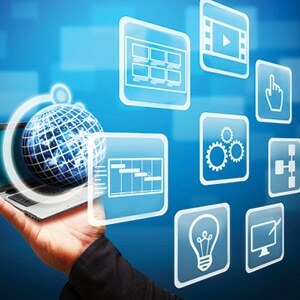 Technologies in education sector are becoming more and more viable and user-friendly. The objective of this resource guide is to provide the education stakeholders a clear understanding on the technology solutions to ease the teaching, learning and school management processes. The issue hopes to help readers in not only getting the highlights of existing technologies but also inform people about the latest and prospective development and innovations in the education industry. Nowadays, technology-enabled learning and teaching have become essential for educational institutions, from preschools to universities. Globally, not only governments or school leaders but teachers and digitalLEARNING APRIL 2017 7 digitallearning.eletsonline.com parents are also considering technology as a crucial part of children’s education. Nurturing students’ knowledge and skills related to Information Communication Technology (ICT) during their studies provide an important ground to them in life. 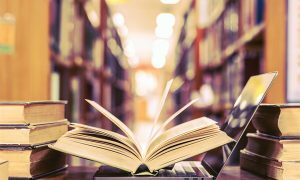 The huge expansion of IT enabled learning in India also necessitates a guide, which can help academicians to be informed and also choose from the various solutions available. The Digital Learning Resource Guide, since past, has been playing an instrumental role in helping academicians and education stakeholders in choosing e- services and infrastructure to suit their requirements. 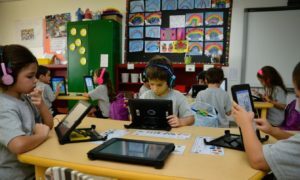 With the influx of new technology and increased connectivity, a focused strategic planning is important to ensure digital learning opportunities for all students and educators. Most school districts have made investments in technology equipment, bandwidth and networking, training teachers and are supporting both the technology and those using it. E- learning: There is a plethora of different e-learning systems (otherwise known as Learning Management Systems, or LMSs for short) and methods, which allow courses to be delivered. With the right tool, various processes can be automated such as a course with set materials and automatically marked tests. E-learning is an affordable (and often free) solution that provides the learners with the ability to fit learning around their lifestyles, effectively allowing even the busiest person to further a career and gain new qualifications. 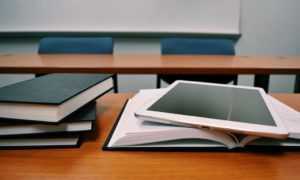 A review of the most recent literature indicates that investments to improve school infrastructure has effects on the educational quality at least in the following three dimensions: College management software: There are many collegemanagement software in market and its use help schools to save time and money both… How? Answer is in elaborated way. The definition and objective has witnessed a transformation. The education, which used to be acquired and treasured in notebooks, is today a mission for many to acquire it while accomplishing various targets linked to it for bright future. Today, colleges face a lot of challenges on a daily basis just to operate the daily administration. Processes like declaration of results, data management, fees collection, timetable management, attendance management of both staff and students and other similar functions are done manually. Manual work involves a lot of time, energy and resources.